Rodger Corser stars as John Doe in Season 2 of "Glitch" on Netflix. Rodger Corser’s character in Glitch, a mysterious man called John Doe, didn’t say much in the Australian series’ first season. That changes drastically in Season 2, now streaming on Netflix. Like previous genre shows “Les Revenants” and “Resurrection,” this paranormal drama—from creators Tony Ayres and Louise Fox—examines the fallout when dead people somehow come back to life. These formerly dead folks, called the Risen in “Glitch,” are nothing like the undead zombies in “The Walking Dead.” They look exactly like they did before they died, and like live people, they bleed. When the Risen try to leave a specific area, the bleed from their eyes and die permanently. 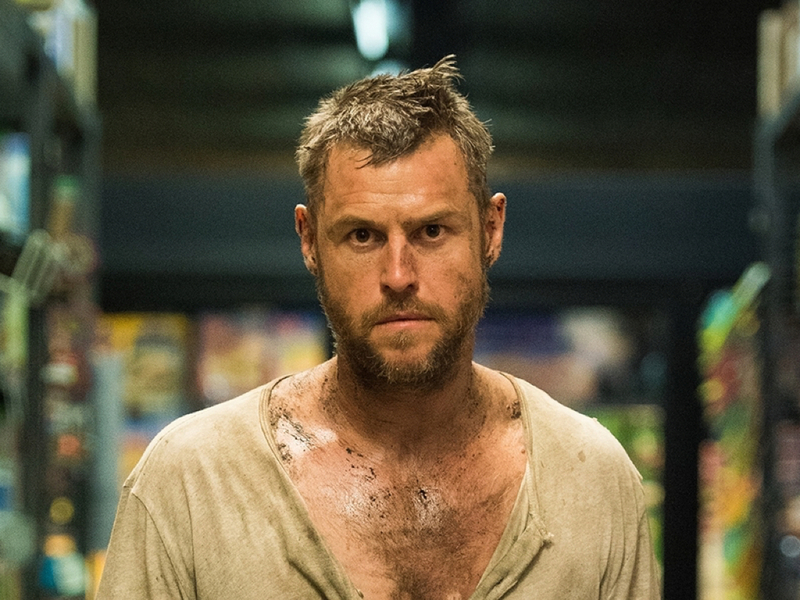 Rodger Corser as John Doe in Season 1 of “Glitch” on Netflix. In Season 1, police officer James Hayes (Patrick Brammel) and Dr. Elishia McKellar (Genevieve O’Reilly) try to keep the Risen a secret from residents in the fictional town of Yoorana for very different reasons. Hayes wants to protect his resurrected first wife, Kate (Emma Booth). The good doctor’s reasons? Well, they become clearer in the new season. The six new episodes also explain why the Risen can’t leave Yoorana, as well as “the science behind what happened” to them, Corser said, and introduces new threats to the group. And yes, fans will learn all about Corser’s character. The “fighter and fornicator” was the only one of the seven original Risen not given flashback scenes in Season 1. John Doe (Roger Corser) reunites with Elishia (Genevieve O’Reilly, left photo) but faces a new mystery when he meets someone from her past (right photo). More screen time gives the veteran Aussie actor a chance to explore the character in both present day and time-jumping to his past, which includes a prison yard whipping and wrongful conviction for highway robbery, murder and the desecration of a corpse. No wonder John Doe was so angry when he first came back to life. “Glitch” owes its second season in large part to Netflix, Corser said. The service injected new life—and money—into the show after it streamed in the U.S. in 2016. The first season originally aired in 2015 on Australian network ABC, and hadn’t been renewed until Netflix expressed interest.